There are great many fishing knots out there, and have various applications. We tie the backing to the reel with a certain knot. Then we tie the backing to the fly line with another one, and so on. This chapter deals with the various knots that we use from the reel to the fly. 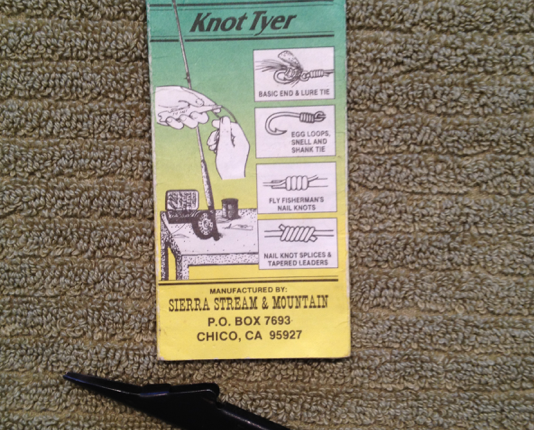 There are of course other knots, preferred by other anglers, but those I cover have served me well. If a knot is badly tied it will fail. My advice is, choose a few, tie them carefully, and then wet them (saliva is handy to lubricate with – heat is generated), and cinch down. I use a glue that cures in sunlight on my knots, when going for the bigger fish. The recommendation to use a nail knot crops up frequently. It is a slim knot, and glides reasonably well through the guides. It is an excellent knot for smaller fish. 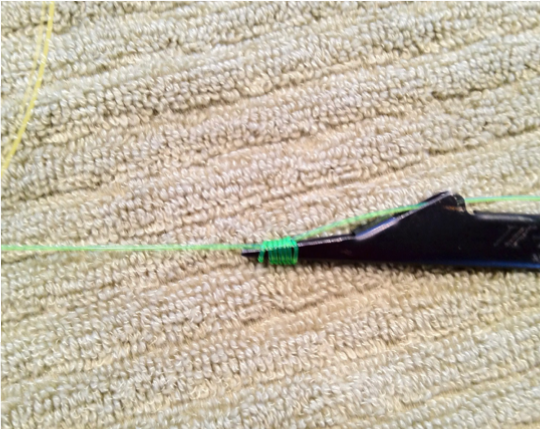 This simple gadget is helpful when tying a nail knot. When going for the big bad one, I recommend using loops. It should be pointed out that you can’t buy your knots (or casts), all the rest can be bought! Therefore, you have only one option to get it right – practice. These websites are very good.